A blog to document my musical endeavours. Went for a walk with my daughter and I took my new flute out with me. There is a tunnel under the motorway and I wanted to play it there. The acoustic is amazing. I made a video but it was audio only as I just put my phone on the ground. So I added a photo using InShot. 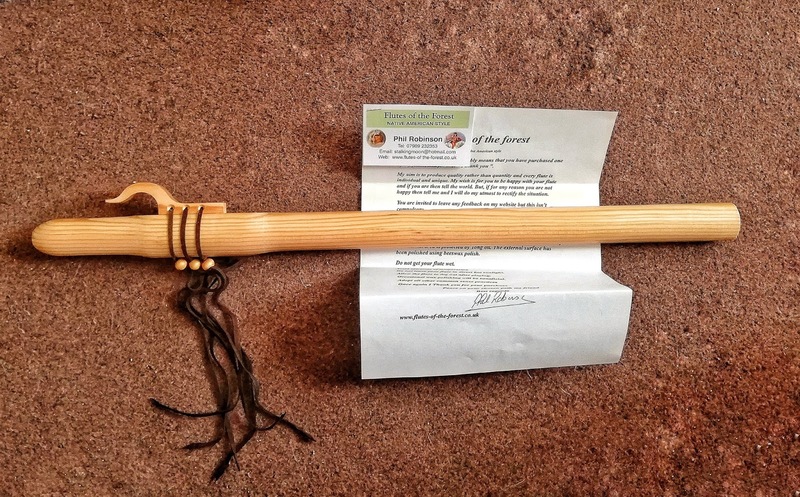 Ordered myself a native American style flute, and it arrived today. Its made of Douglas Fir and has a warm, soft, quiet tone compared to recorder. I just need a good play with it to get to know it. Purchased from http://www.flutes-of-the-forest.co.uk for £68 postage free. My attempt to play my recorder as a native American style flute. I plugged the 3rd hole, thumb hole and bottom hole, leaving 5 holes and giving a pentatonic scale. Finally nailed it. I've been away from the piano for a while but I was determined to get this piece right! I'm trying not to squeak, and I really need to relax that pinky. Pima practice on my classical with moving bass line. A little French piece called C'est un petit oiseau (its a little bird?). From the Brian Bonsor book "From Descant to Treble" book one. Took a few attempts to get it right! Blindman's Blues-the best blues forum out there! Justin Guitar-free lessons and more! PianoWorld-biggest piano resource site, and a great forum!